TAMPA, Fla. — Hello again from the Sunshine State! Curve broadcaster Trey Wilson here bringing you an update on the second day of our trip to Florida for Spring Training. For most of the time that we are down here, the Pirates will be playing home games at LECOM Park in Bradenton. Today, however, was the lone exception. The Bucs were on the road roughly an hour north in Tampa for a Sunday-afternoon match-up with the New York Yankees. With Pirates manager Clint Hurdle away from the team for a couple days, former Curve manager Tom Prince was serving as the team’s manager on Sunday. He is in his first year as the Pirates’ bench coach after spending last season as the organization’s minor league field coordinator. We had a pretty good seat to watch Prince running the show. In fact, the Curve’s two most recent skippers are both on the big league staff with the Pirates this year. Last year’s manager, Joey Cora, was handling his third base coaching duties on Sunday. With the game being a Sunday road game and several players off to join their World Baseball Classic squads, we were able to see a lineup filled with some of the young guys that have played for the Curve over the last couple seasons, like Gift Ngoepe (2013-15 Curve). Reigning Curve MVP Barrett Barnes (2015-16 Curve) drove in Wood (watch it here) to get the Pirates on the board in the seventh and tie the game at 1-1, but New York scored single runs in the seventh and eighth and held off a ninth-inning charge. Max Moroff (2015 Curve), Alen Hanson (2013-14), Erich Weiss (2015-16), Jose Osuna (2015-16), Elvis Escobar (2016) and Jacob Stallings (2012/2015) all saw at-bats on Sunday. We were also able to see Jameson Taillon (2012-13) and Clay Holmes (2016), who each worked a pair of scoreless innings on the mound, and Nick Kingham (2013-14, 2016) allowed one run in his two innings. All three of them returned from Tommy John surgery in the last couple years. Steinbrenner Field was quite an impressive place to see. First of all, it’s huge. The crowd on Sunday was just shy of 10,000. It was renovated this offseason, and the field dimensions now mirror Yankee Stadium. On the way out of the ballpark, you get a great view of the home field for the other Bucs. We are back to business in Bradenton on Monday. If you have any requests for anything you would like to see from our trip to Spring Training, let us know over on Twitter. The Curve open the home slate of their 2017 season at Peoples Natural Gas Field on April 13. 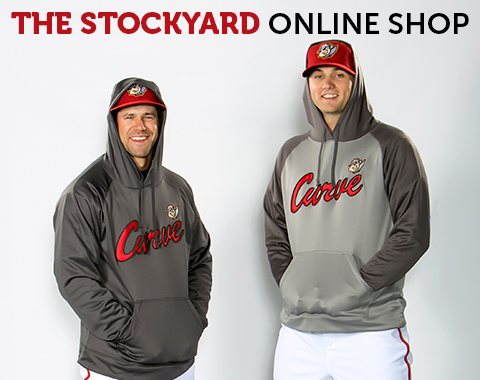 Single-game tickets go on sale this Saturday, March 11 at Curve Fest, presented by Ravine.